Swakopmund yesterday, today and tomorrow. 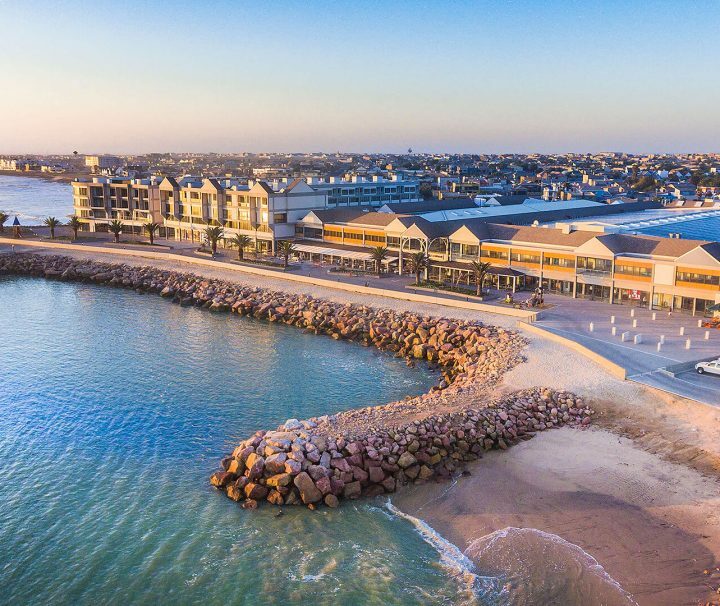 Where the magnificent desert dunes sweep down to the ocean on Namibia’s western flank, sits the charming seaside village of Swakopmund. 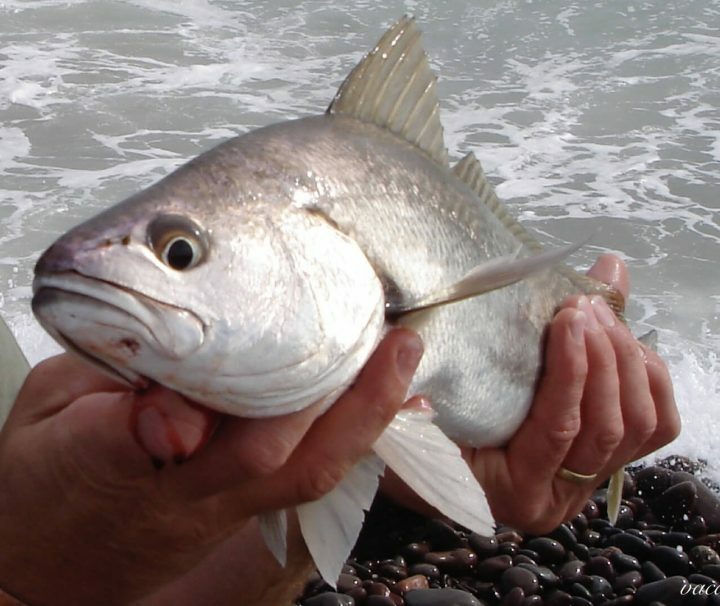 Sandwich Harbour, part of the Namib Naukluft Park, is one of the most exclusive African holiday destinations. Sandboarding is great fun for adventurers looking for a uniquely African holiday experience. 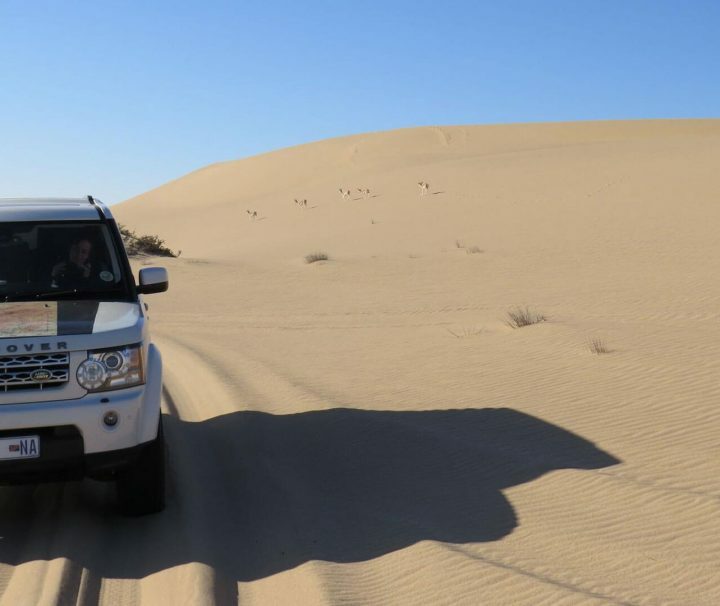 What better way to tour Africa than on a quad bike? 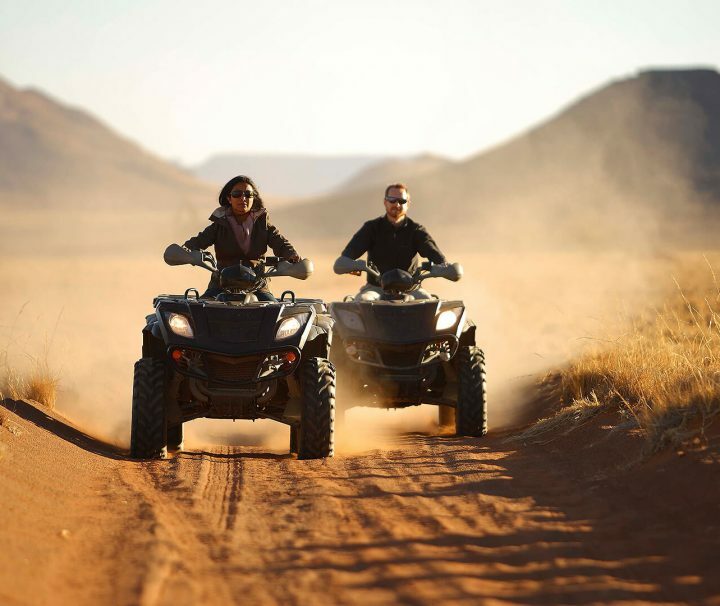 The action-packed guided trip is designed for guests without any prior experience for quad biking. 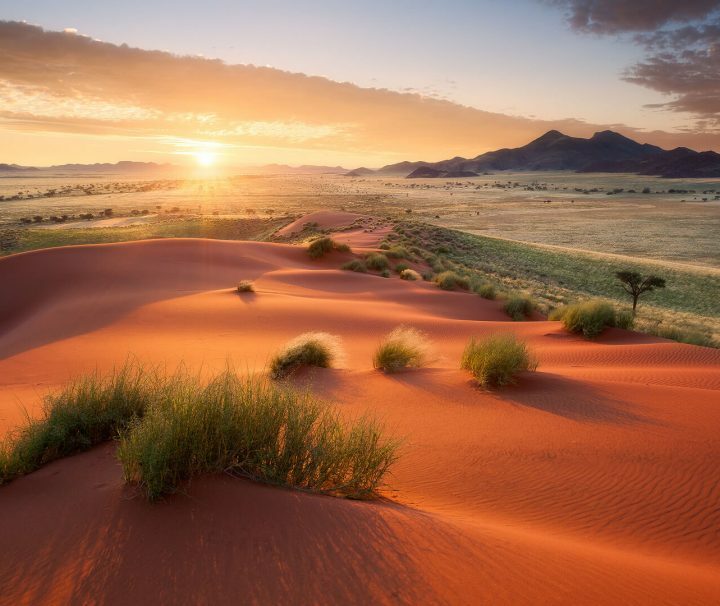 Experience the scenic views of one of the most breath-taking African holiday destinations. 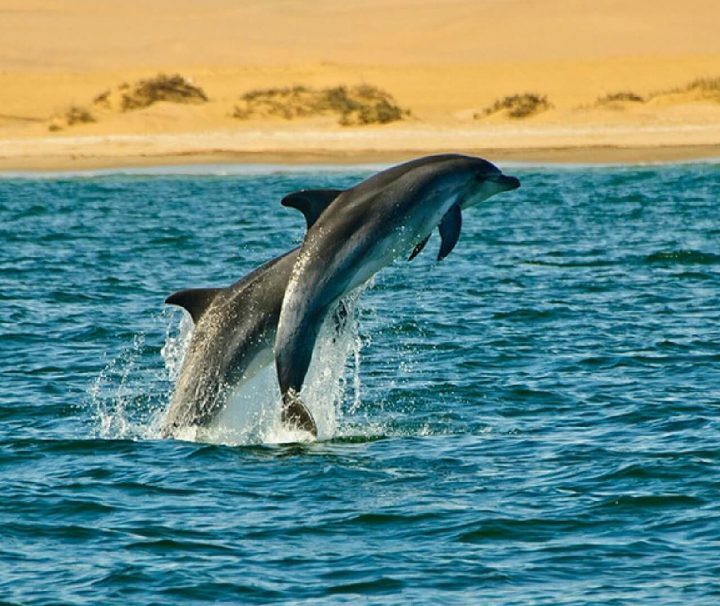 This is a maritime adventure not to be missed on your tours and travels of Namibia. 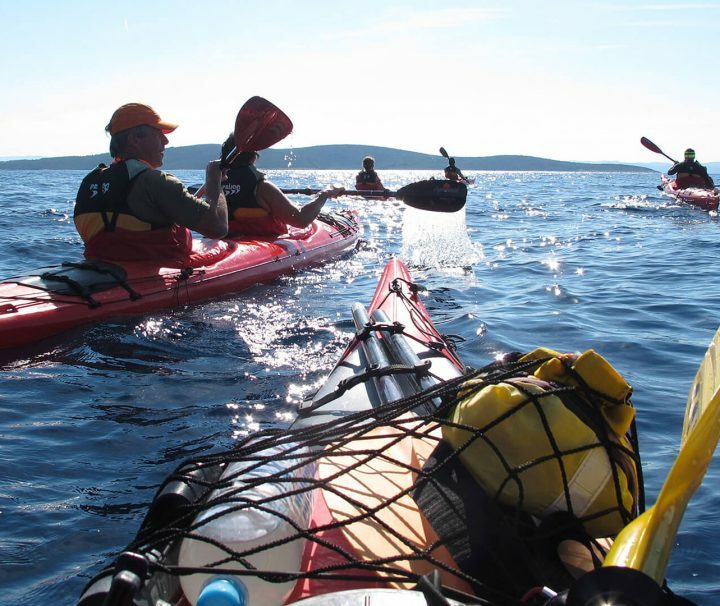 A breath-taking sailing excursion aboard the catamaran to experience the majestic wonder of dolphins and other sea creatures. 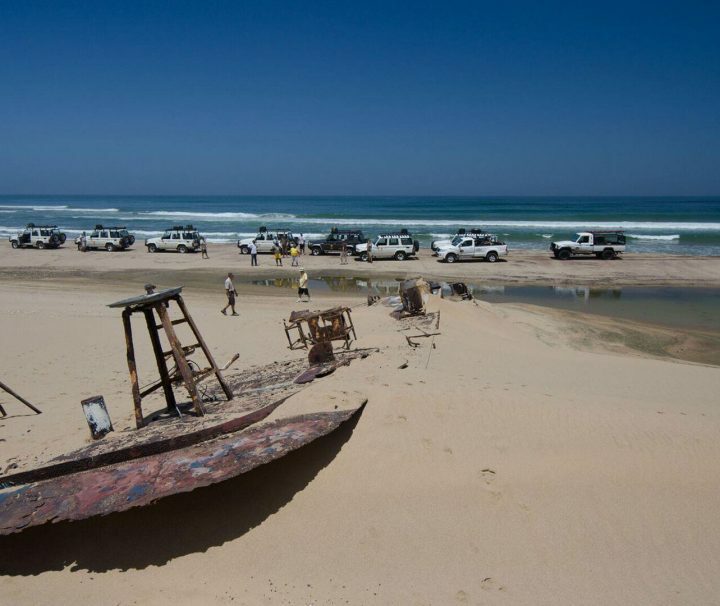 This spectacular, full Marine Dune Day in Namibia gives you the ultimate combination of a leisure cruise on the Atlantic Ocean, a delicious lunch on the beach or the dunes, and a 4×4 ride in the breath-taking Sandwich Harbour Area of the Namib Naukluft Park. 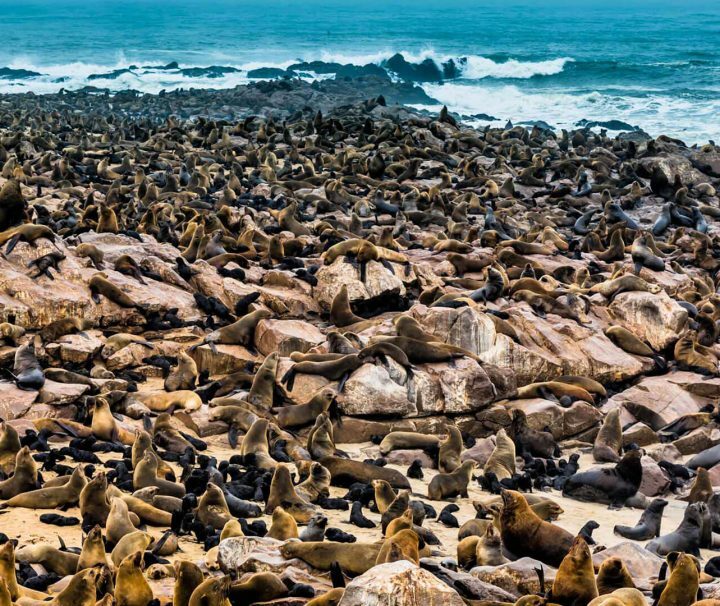 Visit the incredible seal colony at Cape Cross on the Skeleton Coast of Namibia – a trip worth including in your African holiday plans!